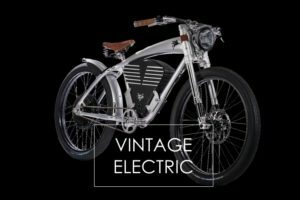 Bicycles with ELECTRIC Motors in Salt Lake City, Ut | Visit us today! Here in Salt Lake City you never know just how challenging your ride will be. Bicycles with electric motors assist in pedaling up those intense hills and that's where pedal-assist will make your time riding more enjoyable. Choosing to buy a bicycle with a motor can make bicycle-riding fun all the time, regardless of the temperature or air-quality. 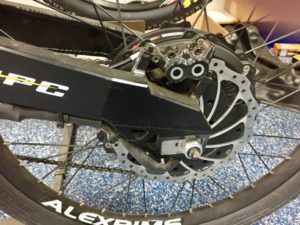 There are two types of drive systems you should know about when buying bicycles with electric motors. One is a rear hub-system, and the other is a mid-drive system. 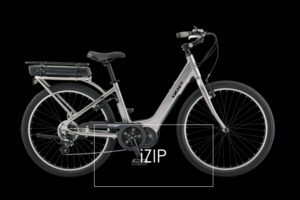 Bosch Motor on the iZip Electric Bicycle. One type isn't necessarily better than the other. Hub and mid-drive systems have different purposes. 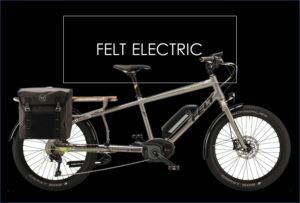 You should understand what you're going to be using your e bike for when choosing a bicycle a particular drive-system. 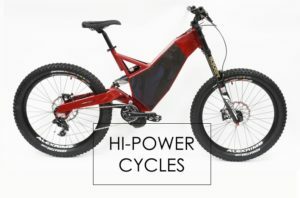 Crystalyte Electric Motor on the HPC Revolution High-Performance Electric Bicycles. SEE LARGER image here. These place the motors on the hub of the back wheel of the bicycle. These are designed primarily for speed. The manufacturer does not connect the motor to the gears. Hub-motors aren't typically designed to provide a lot of torque, so you have trouble on hills. 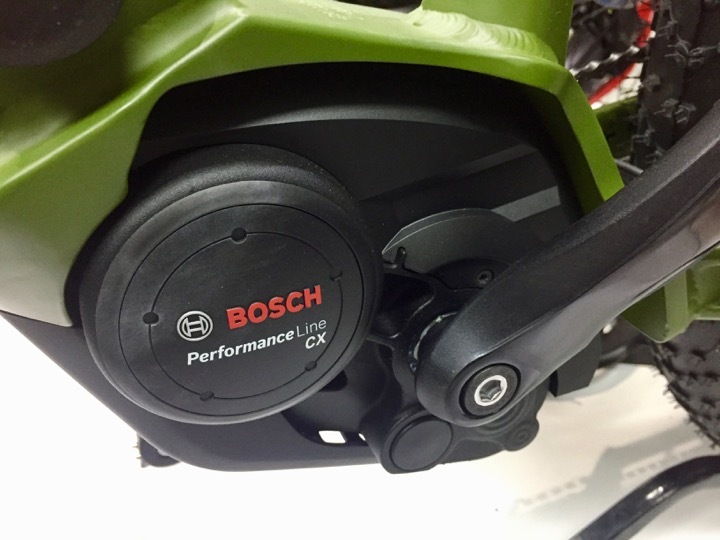 The broader the hub-motor is, the more torque you'll have on your ebike. Most road bikes like the iZip Zuma, or the Magnum Premium 48 Low Step folding ebike use hub-motors. 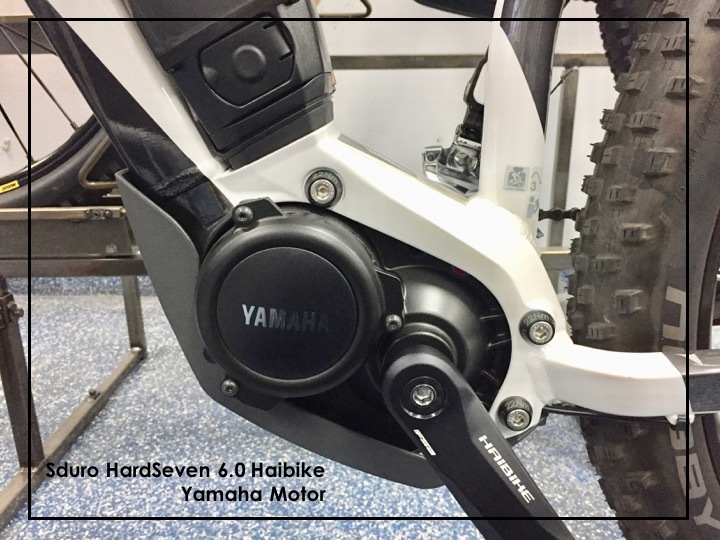 We recommend the highest-quality hub-motors (Crystalyte drive systems) to riders that plan on using them for serious off-roading. With more power and high-quality components, the hub-motor can overcome some of its drawbacks. Most electric mountain bikes use mid-drives. 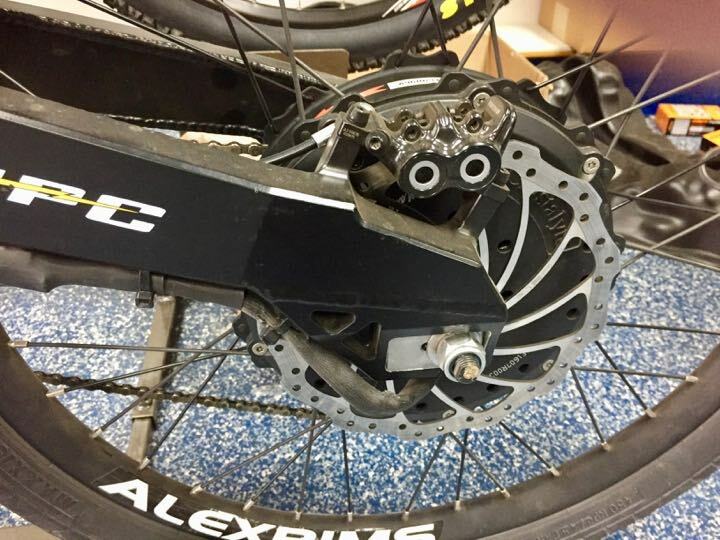 By placing the motor in the center of the bike, in between the two pedals, the frame can provide a lot of support to the motor. Dirt roads, boulders, or hills can provide a lot of friction to the sensitive motor. 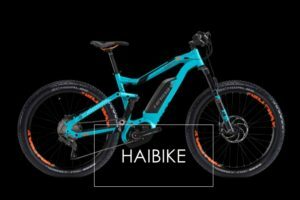 By placing the power-system in the middle of the frame like many of the top mountain e bike brands, the motor is supported and protected. You can imagine the violent motion that a hub-motor on a back wheel can encounter on a high-adventure outing. Mid-drive motors provide the ideal level of torque for hills and mountain riding. The motor is tied into the chain, giving you higher torque as you adjust the gears. Yamaha invented the world's first power-assist-system in 1993 for bicycles. Since then they've led the way, continually innovating their motor to deliver the most comfortable power systems. At High Country E Bikes we strongly recommend to our clientele that they buy electric bikes with Yamaha motors. We feel like they are some of the most reliable power systems on the market. LEARN MORE about Yamaha Motors. One of the most popular manufacturers of e bike motors is Bosch. We recommend a lot of bicycles that use this drive system. The Shimano Steps motor is 250 watt, so it's has a bit less power than many other drive systems. It also makes a little more noise, compared with other motors. But it's still a reliable drive-system chosen by some of the industry leading manufacturers. Another favorite motor that we sell a lot of is Currie. 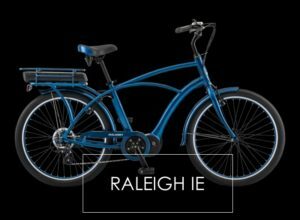 Founded in 1997, Currie is one of the oldest and well-respected US developers and distributors of e bikes. These motors are a little more robust than your average power systems, and they provide more torque than a lot of other brands of e bike motor. 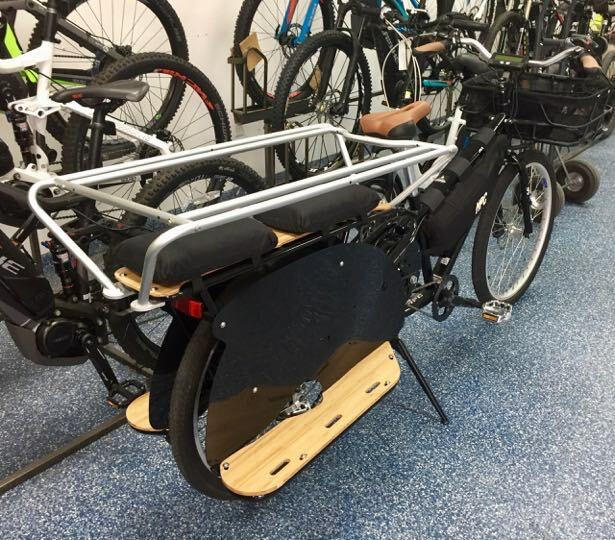 They can go up to 28-miles-an-hour with pedal-assist, making them a fun motor to choose. Hunters like currie motors because they can haul deer meat and other supplies to their base camps. 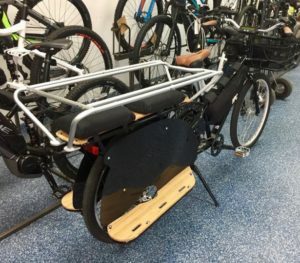 Cargo Delivery Bicycle with Electric Motor by HPC and Yuba in Salt Lake City. CLICK HERE to see a larger image. One of the best, high-performance, ultra-quiet, and reliable hub-motors on the market. It goes up to 8000-watts, making it a super-powerful system for fast e biking. You can buy either of these two brands at High Country E Bikes in Salt Lake City. 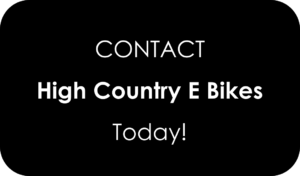 At High Country, we only sell electric-powered bikes. We understand this technology and have a high-performance maintenance station with the ability to diagnose problems you can run into with an electric motor. 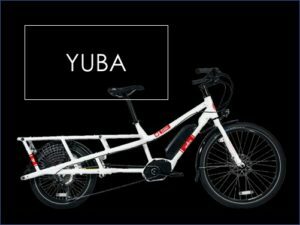 For more information on e bikes with electric motors CLICK HERE!